I thought I had a problem. Drove by this house and noticed the mini forest of palms in their backyard. NIce! Chester thanks for posting the pic. I agree with dalmatiansoap its a start... lol. I think I have around 30 trachy's in my little yard. The sloping backyard is good for good air drainage too. Most homes in my area have less than 5 palms tree in their yards...Good find! Those palms looked recently planted so either they've got a palmy connection or spent some good $$. Unfortunately for them that lowest retaining wall is the edge of their property. I took the photo from the street below them. It's one of those roads that winds back and forth as it goes up one of the many steep hills (extinct volcanos) that we have here in the Happy Valley area of Oregon. There is another home close by but its in a gated community. 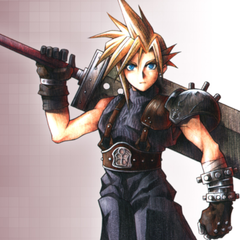 Apparently he has a crazy number of palms as well as a very long hedge of mature needle palms. I'm going to try and get in there one day. The owner must not be a long-time enthusiast of palms. If I were to spend that much money for landscape palms, I certainly would get a much more diverse selection. People aren't that into palms here other then Trachys. Some people even think it's weird to have palm trees and you see a lot of people remove them when they buy a house because they don't "look right". Japanese style gardens are more then norm here. Even though we have good climate for many species I have only seen two palm trees that weren't Trachys in the 3 years I've been living here. One Chaemerops and a Jubea that is a city planting down by the waterfront. My kind of gardener. Except he does line them up like soldiers on parade. A little more thought to random placement would have been nice. Then he would have a true jungle instead of a tree farm. Oh well, at least he may be a palm lover. A little more thought to random placement would have been nice﻿. We have a huge Japanese garden here in Portland, not a palm tree to be seen. Lots of maples, moss and stone. Dang! That probably would cost me a fortune if I wanted a backyard like that. Are larger trachys easier and cheaper to get in Portland? Easy to get. Trees over 15' of trunk are less common but still around. Standard rate is $150 per foot of trunk, if you go to the right place probably half that. I can get a 15 gallon tree about 2-3' of trunk for $55. 25 gallon is $75 and around 3-4' of trunk. The trees in my pic were probably $300-$400 each as they were in the 5-6' range. At a retail nursery they would be over $700/tree. $75 for 3-4 feet of trunk is a really good price! Do you of any good mail order sites for like a trachy with 2-4 feet of trunk? As much as I love palms I couldn’t do that, that’s just too much of the same species and they’re planted too uniformly for my taste. 2-3 Trachys planted together at staggered heights growing amongst small flowering shrubs would look nicer imo. A standalone Wagnerianus always looks good, Needles can either stand alone or make a good underplanting. A small Southern Magnolia, Japanese Maple, a couple of rhododendrons, etc. No I buy all of my palms from a local palm nursery. I agree, however we are limited as to what grows here. 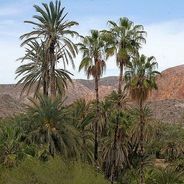 I have more palms than that person does but they are heavily interplanted with other trees, shrubs and flowers so I look like I have far fewer, as they blend better into the landscape. Location:South Carolina (Zone 8a) formerly Los Angeles. I don't understand why people think palms do not belong unless they're at some tropical beach somewhere on vacation. Random question for you and @palmcrazy : do you ever see field grown trachies at nurseries or elsewhere in the PNW? They seem to do well there and I'm just curious. 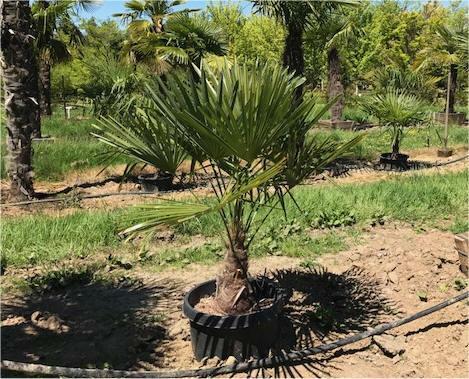 I see fields and fields of ornamental plants for the nursery trade such as japanese maples, conifers, etc but not palm trees. The palm nursery I deal with actually does have one field planted with huge trachys - 20'+ that he sent me to look at. For the most part he grows them in pots. Love it! wish I could afford that many trunked trachycarpus, but if I could get them for $55 for a 15g and $75 for a 25g Id have good mess more trees than the 7 I have now. More will come in the spring, but smaller 3 to 7g versions. But I also have to empathize with them as I plant in straight lines alot too. I know right? I even have nurseries around here laugh at me or flat out tell me palms don't belong here. When I show them mine or explain that palms have been here for quite a long time they usually walk away. But I have been known as "the palm guy" in my area since 2016 and have also had several positive experiences due to it. But certainly the former response is far too common from folks who plant invasive or non native plants all over. When the wife asked why I need "Chinese palm trees" I answered with "same reason why you need asian/south Pacific crepe myrtles on our land". Yes Crepe myrtles are over planted everywhere, I will not have then in my yard! I was talking to a lady last summer and she said palms were too tropical for our area, yet she wanted to plant elephant ears and Calla lilies?! We had a friend over last night that is moving from Toronto (where I'm from) and she says "I've seen some palm trees here, must be all the Californians that have moved here planting them because they're in denial". I bit my lip, sometimes it's not even worth trying. I can write an entire book about palm misconceptions I've seen over the years. Try telling non palm nuts that the Carolinas have more native palms than Hawaii or California and they will be mindblown. Some people...funny thing is I found elephant ears at our usual campsite in blue ridge Appalachia. Here is the way most nurseries sell palm tree in WA to the public. It a lot easier to just bring larger palms up from Cali than to grow them in the ground, but I am sure someone does that too. I do know of at least one whole seller in Seattle that brings up field grown palms. They are not in pots just sitting in wood dust really for landscapers to take them and put into a gardens or commercial insulation. it seems like all the houses here in mukilteo wa that have palms are trachycarpus and a majority is one or 2 palm,one house about 2 blocks away has his yard filled with trachy,s.I will be the oddball with different palms-Fillabusta, Butia x jubaea, Phoenix sylvestris, Phoenix theophrasti,zahidi date palm (all are 8b and can handle wet weather) I also have 2 3ft canary palms that survived the winter outside in pots that I will try to plant this spring.my neighbors think I'm nuts cause palm trees look out of place here.I am called the climate change freak. Funny, I thought this thread was a bio on Roger ( @Palm crazy )! My neighbor came over to my house after we moved in while I was planting my palms and said jokingly to the trees "nice knowing yall! ", friend not to much after that said "hope all your palms die" and laughed. He has since changed his tune. Thanks for the info and pictures! Ok, y'all here is a short test video of my patio area from yesterday. As you can see not very colorful this time of year. Hope it works? Looks good Roger. Pictures are great but a video really ties the different areas together in your brain. The water feature is the bomb! Really add a lot to the garden. If I were to do it over I would put in a pondless water feature that would make it maintenance free. It also adds lots of sounds that drown out the city noise, and the birds and wildlife love it too. Highly recommend one. I will make a better and longer video in a few days to give you the full feel of the winter garden. What you also have to remember about some neighborhoods is that the HOAs try to block landscaping that isn’t uniform to the rest of the neighborhood. I had this happen after 7 years of mature palms in the ground. A neighbor complained to the HOA and the board voted (without me present at the meeting of course) to make us “dig up” all of the palms in our front yard. 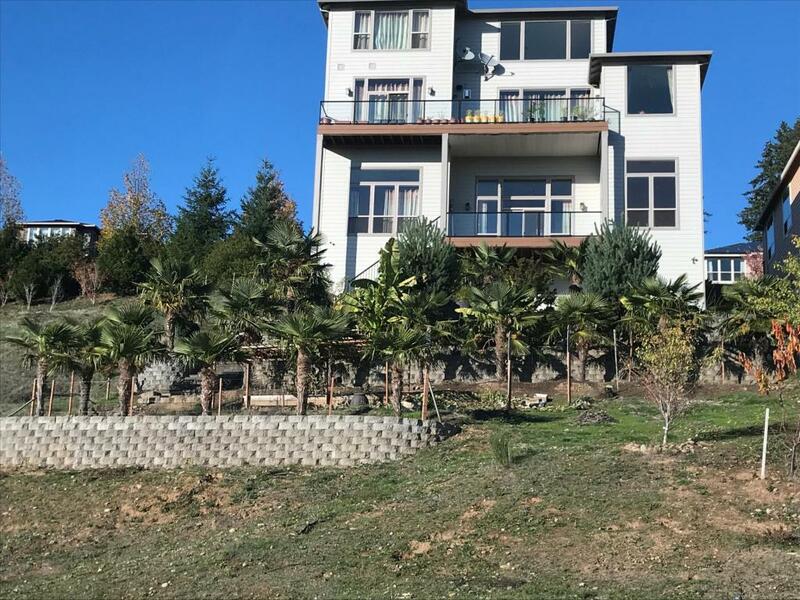 I looked at the rules and could not determine how I was in violation based on someone’s opinion that the palms were not uniform landscaping for this area (Seattle). So I went to an attorney and fought it and won. 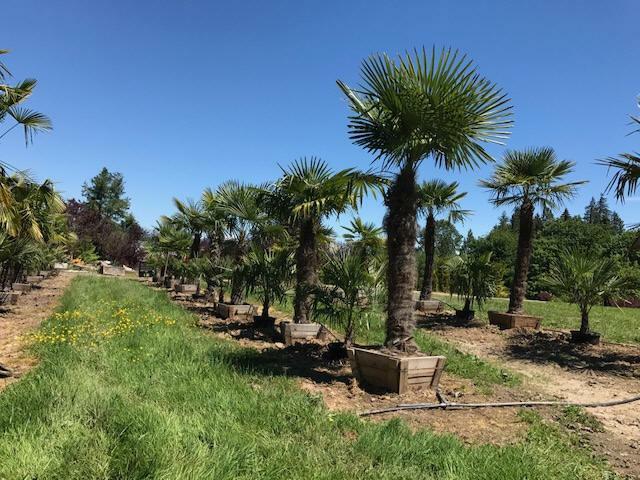 But it was a pain to deal with and it made me not want to plant any more palms until I get a big piece of land (ideally in the Kalama, WA area). Wow. 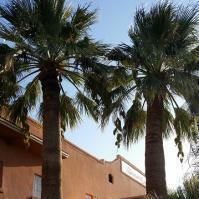 Our HOA in the past encouraged planting palms as it supposed to raise property values. I did run into some issues when I first moved into the neighborhood but since I've joined the Architectural review committee as well as taking a position as a Director on the HOA board. That way I can shape what happens in the neighborhood and implement changes as I see fit! First question I asked when shown a new house: "Does it have an HOA?" Your scenario is exactly why. Way to take the bull by the horns!